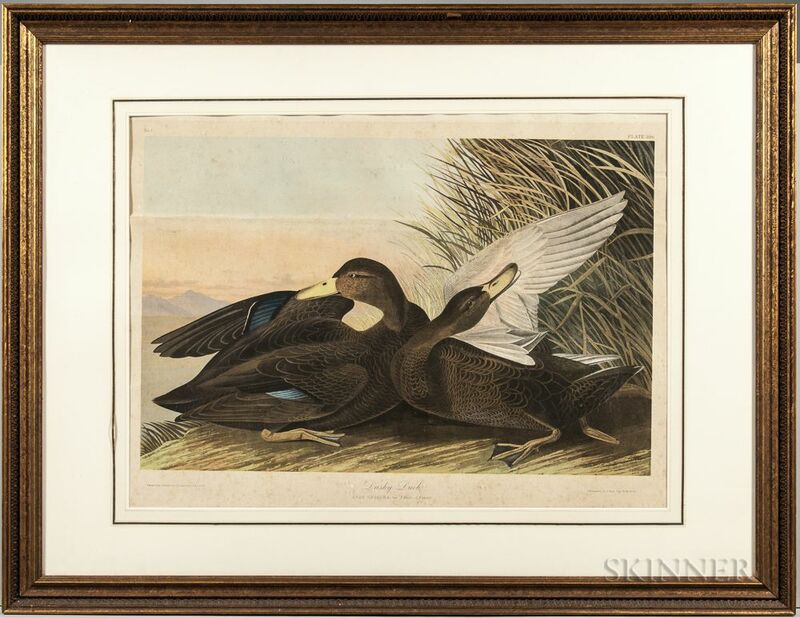 Audubon, John James (1785-1851) Dusky Duck, Plate 386. New York: Bien, 1860. 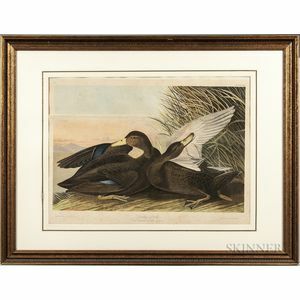 Double elephant folio chromolithograph on laid paper, faded, toned, even foxing across the print, matted and framed, 29 3/4 x 21 3/4 in.